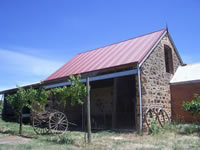 Lyndoch Valley, Barossa’s earliest settlement, was surveyed in 1840 for the South Australian Company. Section 541, currently the Barossa Shiraz Estate, remained in the ownership of SA Company and leased until its sale in 1898. In 1906 Joseph C. Denholm transferred his carrying business under, Denholm Bros, from Truro to the property in Lyndoch. Their operation was independent of the stables used by the Royal Mail Coach and Joseph built his own horse stable (non-existing). 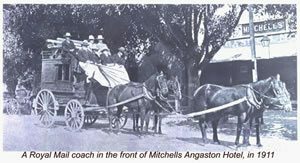 He kept 15-18 horses and transported wine from Chateau Tanunda to the Gawler Railway. There was one daily trip from Lyndoch to either direction by the two brothers. Following Joseph Denholm, his son Ronald and grandson Robert continued to use the property mainly for farming purposes until 1970. About 80 years after deMole, the property was once again used as a dairy, under Rao Milk Round. The homestead was extended on the Willows side in1970s by the Weeks. The subsequent owner, C. & T. Coxall, established a Mechanical Music Museum ( photo), exhibiting a fascinating collection of instruments in operation. 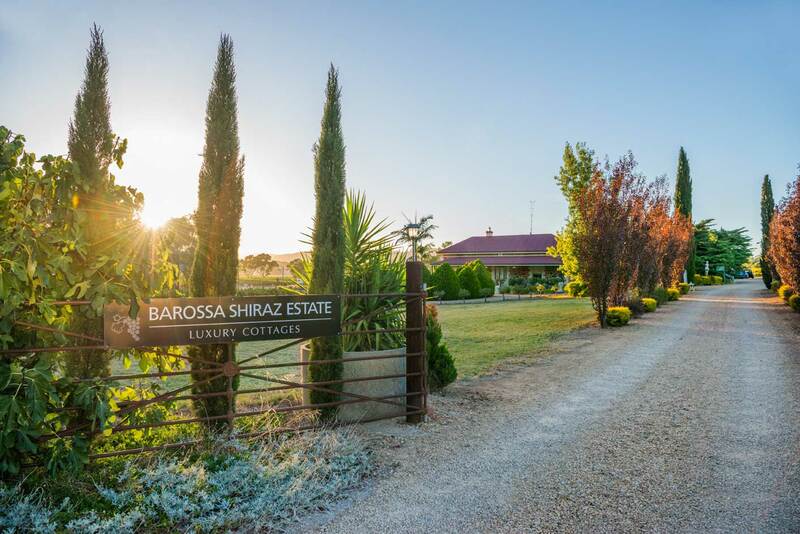 The Barossa Shiraz Estate, established in 1998, planted the land to Shiraz and Cabernet, undertook a meticulous restoration of the homestead and maintenance of the barn-stable which is intended for future development. 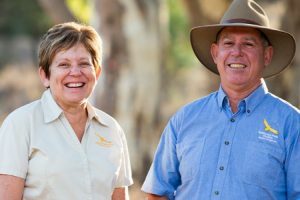 In June 2017 tourism icons and owners of Rawnsley Park Station, Tony and Julie Smith, decided to expand their tourism empire and purchased Barossa Shiraz Estate. In doing so they have coupled their passion for Tourism and a good Barossa wine to continue sharing this unique property with guests from all corners of the globe.